For a couple for two nights and three days Inclusive of breakfast, one day Ooty / Coonoor sight seeing, one gift hamper and free stay for a child. - 24 hrs pick & drop from airport , railway stations. - Marudhamalai hills Arul migu Subramaniaswamy - 15 kms. Travel desk is available at the recepection to take care of all your travel needs with luxury vehicles. 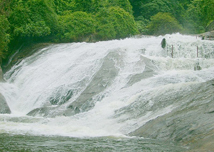 Special package tours are available for sightseeing in and out Coimbatore, Ooty, and Kothagiri & Bangalore.